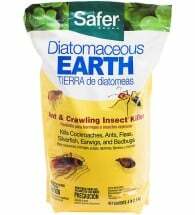 The best (and safest) termite treatment available! 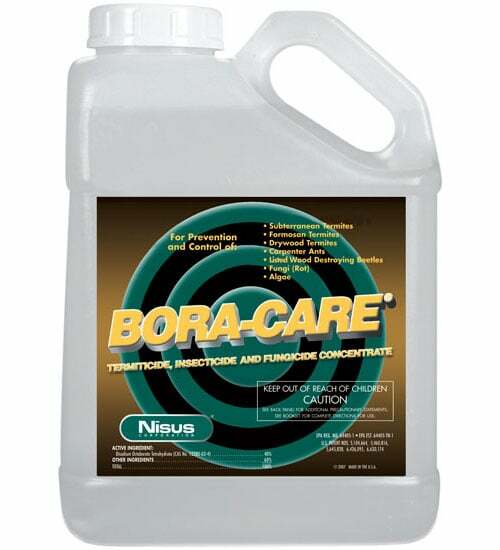 Award winning Bora-Care by Nisus® is used for the interior and exterior control of decay fungi and wood-boring insects such as termites, beetles and carpenter ants. 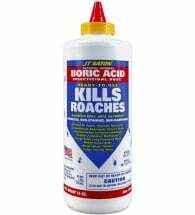 Apply directly to ALL untreated wood surfaces. The patented formula penetrates deep to provide long-lasting protection — over 40 years! Each gallon jug covers 200-500 square feet. • Low toxicity — SAFE around people and pets! • Protects wood for years! • Most popular termite pretreatment in the U.S.
• Highly effective — safeguards your investment! Mix concentrate 1:1 or 2:1 with warm water and spray, brush or roll over bare wood where paint, stain or sealer is not present. 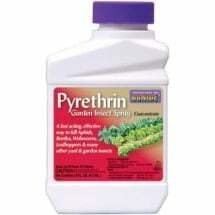 Can be mixed with pyrethrins at 0.3% for use against carpenter ants and other listed insects. Do not use to directly treat soil. 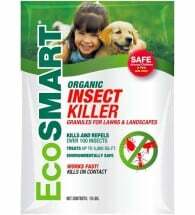 The active ingredient in this product — a borate mineral salt — is about half as toxic as table salt, but very effective against insects and decay fungi.